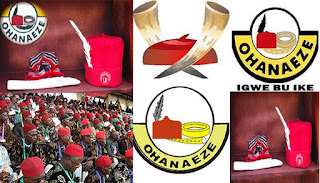 The first reason is that Ohanaeze is supposed to act as FATHER, to every Igbo person, no matter where the person lives or what interest group, the person belongs. That is why people of Igbo extraction, in the South-South, who share common geo-political and socio-economic affinity with other ethnic groups, also belong to Ohanaeze. However, given their dual identity, their political interests may not always converge with those of the core Igbo heartland. It is precisely for reasons such as this that, playing the role of FATHER demands a high level of dispassion, on the part of Ohanaeze leadership. Put bluntly, neutrality confers on the body, the moral authority to legitimately expect those in dispute to enthusiastically submit to the organisation’s adjudication. But when the body takes an overtly partisan posture as it has done, it subverts its own authority. Let’s face it: the poor infrastructure, absence of strategic national assets such as refineries, iron and steel complexes (in spite of the abundance of coal in the zone! ), etc did not just start, four years ago. By some coincidence, many high-ranking members of the Imeobi, the apex decision making organ of Ohanaeze Ndigbo have held sway in Nigeria’s political scene as governors, ministers, special advisers, chief execs of strategic federal institutions or top party men, even as infrastructure in the south east deteriorated and sunk into complete disrepair. If one may ask, did the miserable state of the Enugu-Port Harcourt Expressway just happen? It will be interesting to tell our people why that stretch of road has lingered in that condition since the restoration of democracy in 1999. What about the Sam Mbakwe International Cargo Airport in Owerri? Do we need a national referendum or United Nations supervised plebiscite, to provide the infrastructure required to achieve its designated status? Why have successive administrations before now not effectively tackled the indefensible underutilization of sea ports in the eastern corridor of the country? Did President Buhari or the APC stop any previous administration, from doing the needful? I think the time has come for us, Ndigbo, to be more honest with ourselves. Emma Agu, CEO of GAVINTA & ASSOCIATE LTD, a media consultancy, is a fellow of both the Nigerian Union of Journalists (NUJ) and the Nigerian Guild of Editors (NGE).